11″ wide by 10″ tall. 12 gauge steel. Welded 1″ steel square stock frame. 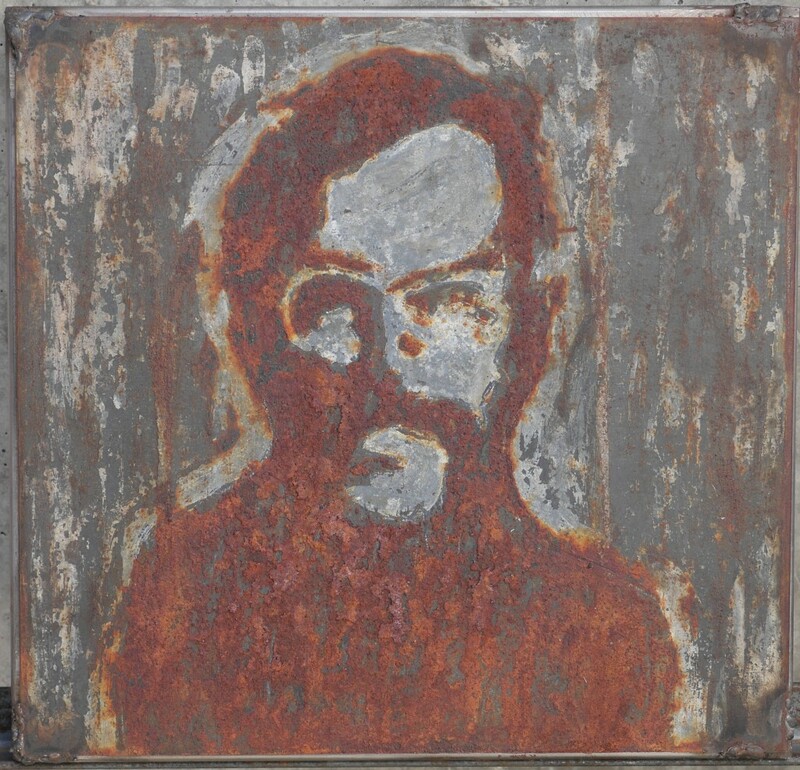 Heavy Steel, with controlled rusting, paint and patination.